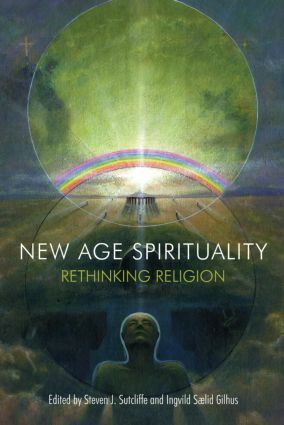 Introduction: 'All mixed up': thinking about religion in relation to new age spiritualities, Ingvild Salid Gilhus and Steven J. Sutcliffe; PART I: RETHINKING NEW AGE SPIRITUALITIES 1. New Age, World Religions and Elementary Forms, Steven J. Sutcliffe; 2. 'All over the place': The Contribution of New Age to a Spatial Model of Religion, Ingvild Salid Gilhus; 3. Towards a New Paradigm of Constructing 'Religion': New Age Data and Unbounded Categories, Liselotte Frisk; 4. On Transgressing the Secular: Spiritualities of life, Idealism, Vitalism, Paul Heelas; 5. Hiding in Plain Sight: The Organizational Forms of 'Unorganized Religion', Ann Taves and Michael Kinsella; PART II: COMPARING NEW AGE BELIEFS AND PRACTICES 6. Narrow New Age and Broad Spirituality: A Comprehensive Schema and a Comparative Analysis, Norichika Horie; 7. Dolphins and other Humans: New Age identities in Comparative Perspective, Mikael Rothstein; 8. New Age, Sami Shamanism and Indigenous Spirituality, Trude Fonneland and Siv Ellen Kraft; 9.